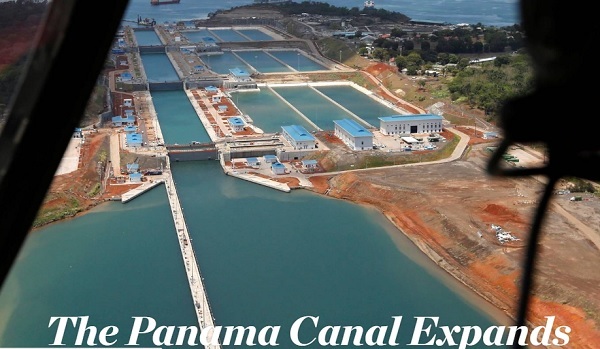 According to the Wall Street Journal, the giant Panama Canal expansion opens June 26 amid much fanfare and one of the worst shipping industry slumps ever. While it won’t do anything to help the dire state of the industry near-term, the changes are critical to Western trade in the long run. The nine-year, $5.4 billion expansion more than doubles the canal’s cargo capacity. A third lane has been added to the canal that accommodates ships large enough to carry up to 14,000 containers, compared with around 5,000 currently. This alleviates a cargo bottleneck caused by the smaller ships that was due to get worse over time. The expansion makes the Panama Canal more competitive with the Suez Canal in Egypt, shortening the one-way journey by sea from Asia to the U.S. East Coast by roughly five days and eliminating the need for a trip around Cape Horn to get to the Atlantic.